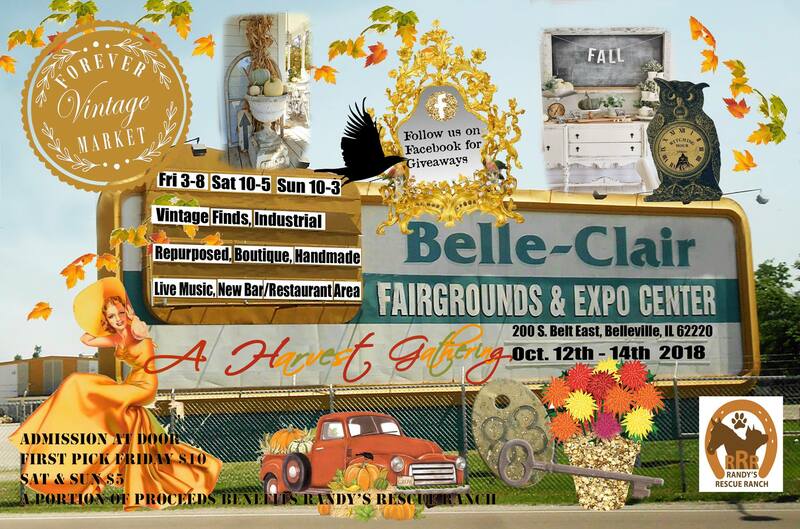 A Harvest Gathering will be held at The Belle-Clair Fairgrounds in Belleville, IL October 12th -14th 2018! Vendors from many different states will be Joining Us with Vintage Finds, Architectural Salvage, Industrial, Furniture, Boutique, Handmade & Much More! A Weekend of Fun for the Entire Family! Live Music, Cash Bar, New Restaurant Area with Amazing Eats! Forever Vintage Market is an event for collectors, treasure seekers and hunters of one of a kind vintage finds. We are a destination for decorators, designers, boutique owners, families, and weekend fun seekers of all ages. Each Forever Vintage Market Event is held over three days several times a year. It is the perfect venue for talented vendors to display their passions and express their artistic expertise. Mark you calendars! 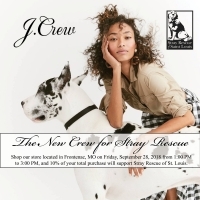 Schlafly Beer, Smartwool and STANLEY are pleased to welcome you to the Kirkwood Alpine Shop on Thursday, October 11th from 6-8:30 pm to benefit Stray Rescue of St Louis. 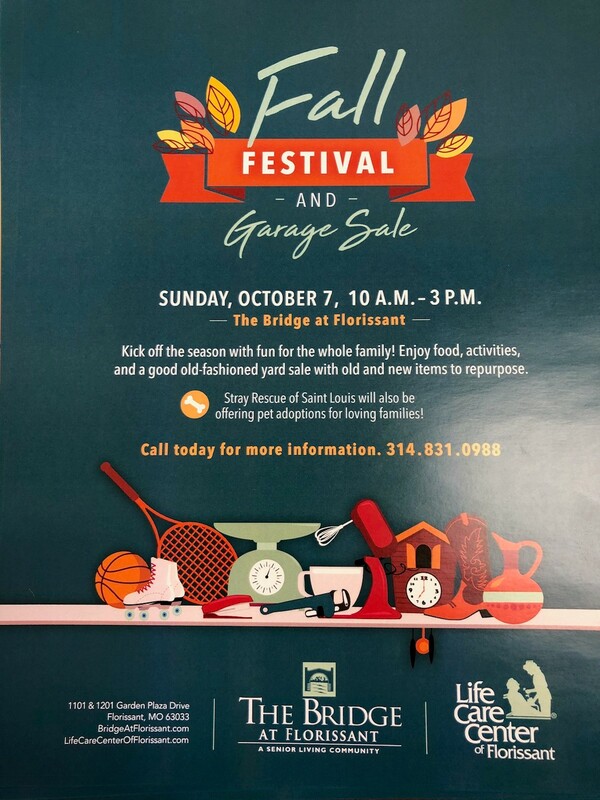 Bring your family and friends, because we will have a dog costume contest, picture booth, Live Music with Kristen Goodman, the STL French Quarter food truck, raffles for Smartwool and Stanley products, and adoptions available! This is going to be a blast! Here's how it works: From 6-8:30 PM, we have a total of 200 limited-edition steel 24oz Adventure Vacuum Steins from STANLEY for just $20. (We have never offered the 24oz Stanley Steins! )(Note:You can only purchase one at a time) Plus, each purchase comes with a 16oz pour of craft Schlafly Beer and a ticket for one refill. We do recommend bringing your own chairs and hanging out with us in our "corrall" area in front of our building. We'll have fire pits in full force. Stray Rescue will have adoptable pets there for you to meet! Click Here to complete the adoption application online! Shop at J. Crew in Plaza Frontenac on Friday, September 28, 2018 from 1:00PM - 3:00PM, and 10% of your total purchase will support Stray Rescue of St. Louis. 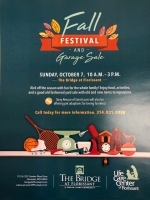 Formerly abused and neglected companion animals that Stray Rescue has lost over the last year, will be laid to rest with a ceremony on Thursday, September 27th at 7:00 pm in Benton Park, St. Louis, MO. 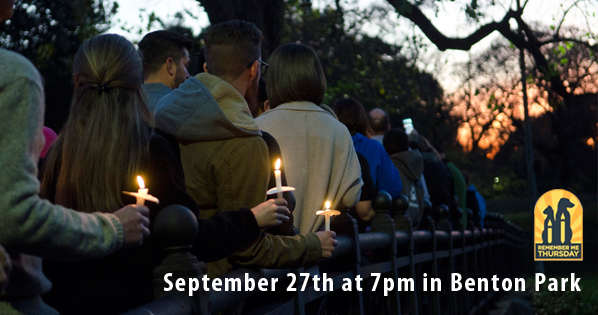 A ceremony led by Reverend Nancy McGwire and candlelight vigil will be held as the ashes are spread from the Benton Park Pond Bridge. A champagne toast will follow. Strut Your Mutt, a fun dog walk and fundraising event, brings together thousands of passionate people from all across the country to raise money to save the lives of homeless pets. Participants can choose to raise money for Stray Rescue of St. Louis and 100% of the funds you raise go directly to our emergency medical fund to help animals in dire need. Please join us either by registering for our team or donating to one of our team members. Your donation is tax deductible and and the best part? That money will help save the lives of homeless pets. 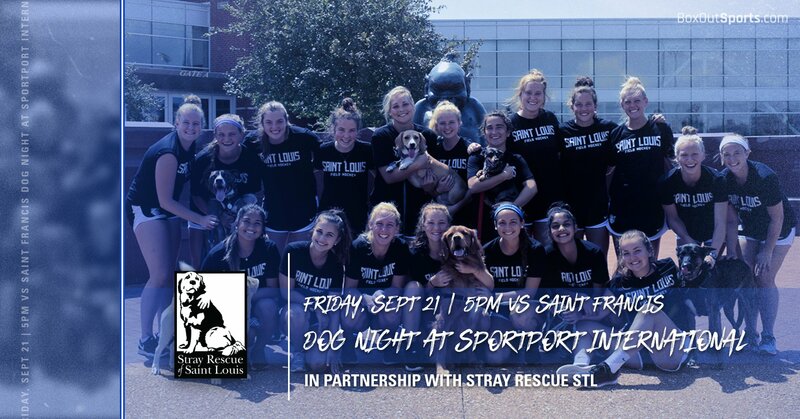 The Billikens Field Hockey take on Saint Francis in their home A10 opener Friday, September 21st. Game begins at 5:00PM CT. Bring your pups and come cheer on the Bills! 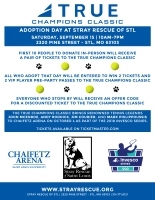 We will also be benefiting Stray Rescue STL. 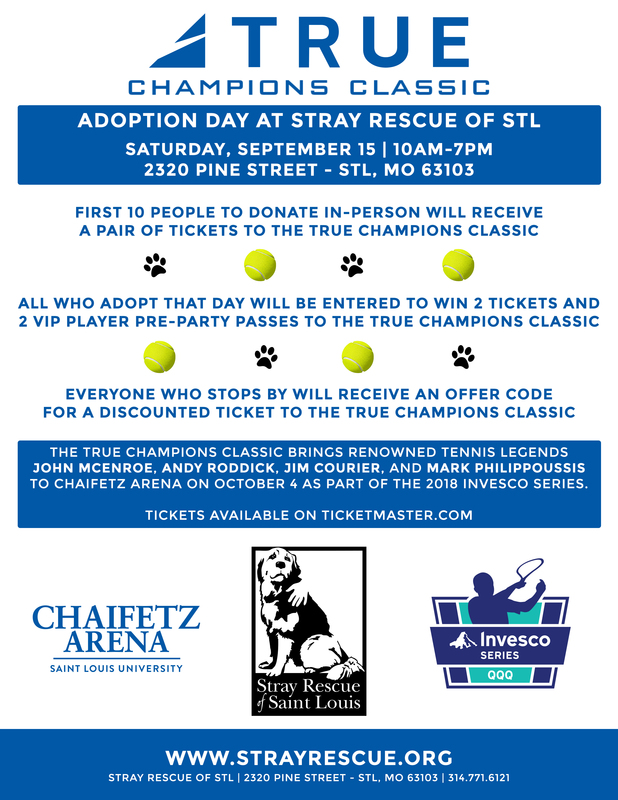 Chaifetz Arena and True Champions Classic are hosting an Adoption Day at Stray Rescue of St. Louis' Pine Street Shelter (2320 Pine Street 63103)! First 10 people to donate in-person will receive a pair of tickets to the True Champions Classic*. All who adopt on September 15th will be entered to win a pair of tickets to True Champions Classic*, PLUS two (2) VIP Player Pre-Party Passes. Come meet adorable furry friends that are available for adoption through Stray Rescue of St. Louis! Because we expect a high volume of applications on this day, please be sure to complete an adoption application online to speed up the process once you arrive! Click Here to complete the adoption application online!